The Centre consists of multiple lanes of ten pin bowling, a unique castle-themed multi-levelled play centre, a well equipped arcade and a separate pool table area. Mum and Dad can relax with a cup of coffee while the kids burn off their excess energy in the supervised play area. Afterwards the whole family can enjoy a game of bowling. It doesn't matter if you've never done it before as our friendly staff are always on hand with tips and bumpers are available for kids...so no more gutter balls. If Bowling isnt your cup of tea they why not try sumo wrestling great fun for all the family where mum & dad can also get involved. If the kids fancy themselves as a Jenson Button then let the kids try the F1 Go Karting, watch their faces light up with delight as the zoom around the course. 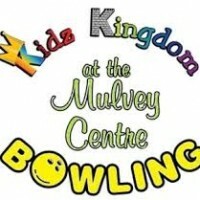 Located within walking distance of the town centre, and in close proximity to the cinema, Mulvey's Kidz Kingdom and Bowling provides the perfect place for a family or group day trip or fun night out. 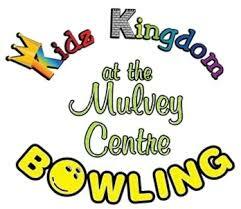 We cater for all events and functions and tours, (our Kidz Parties are a big hit! ), and whether you want a Bite and Bowl night out in Vitto's Restaurant or a day of Bowling and shopping in Mulvey's House of Gifts or Toymaster you'll find it all in Carrick-on-Shannon.